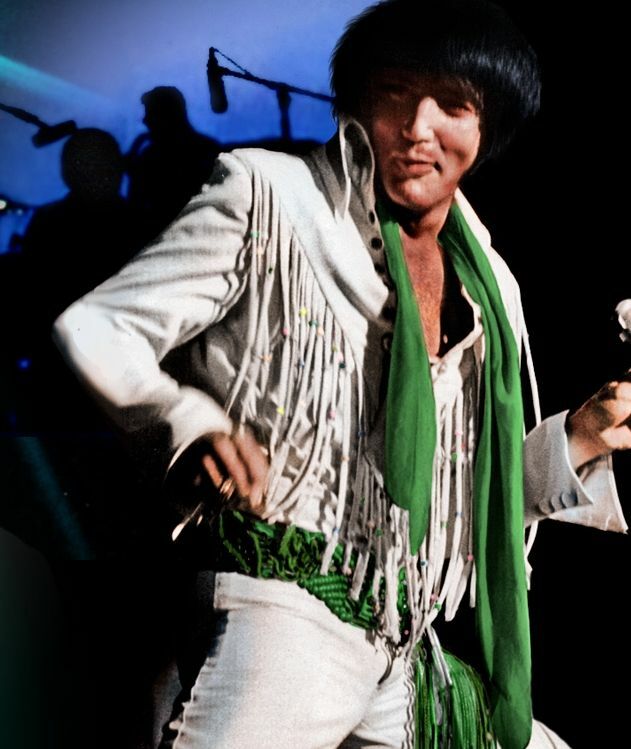 When Elvis came back to performing on stage with the 1968 Comeback Special, he wanted to wear something that would allow him to move, feel comfortable and look stylish on stage. He worked with costume designer Bill Belew to create the looks. 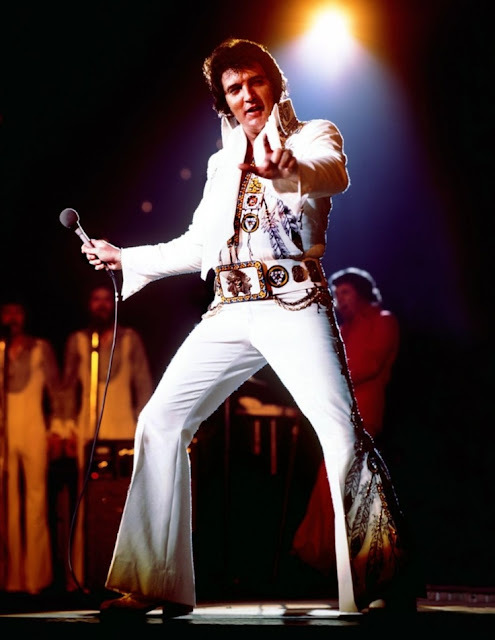 Bill would sketch styles for Elvis to approve. 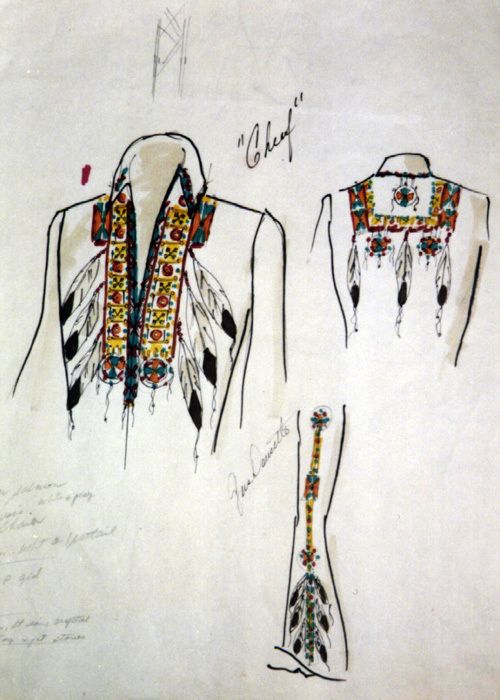 Once the designs were approved, the jumpsuits would begin getting made. Elvis wore jumpsuits once or several times. It all just depended on his mood and what he chose to go out on stage wearing. 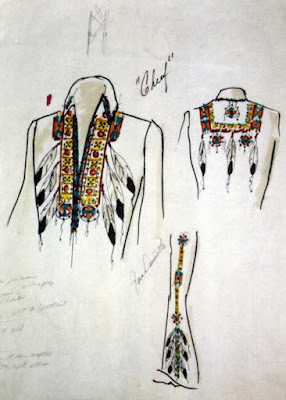 The more popular or well known jumpsuits are usually the highly documents ones. It didn't necessarily mean that he wore them over and over. 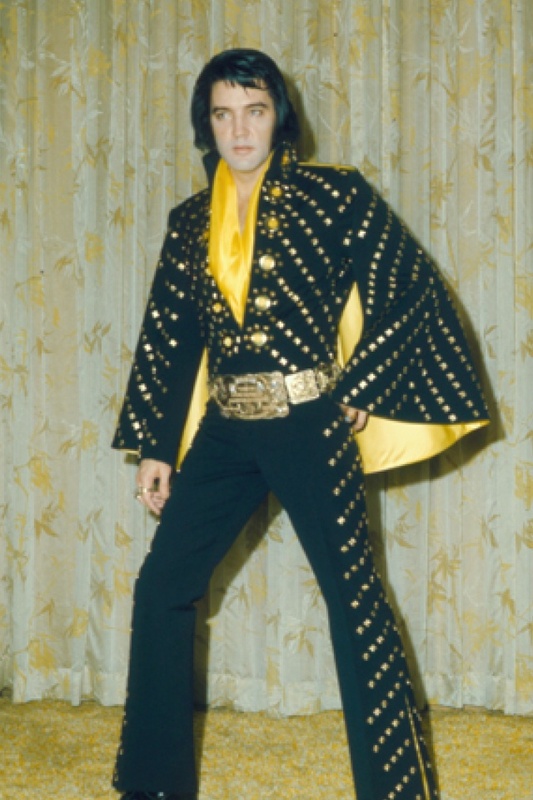 The majority of Elvis' jumpsuits came with a matching belt. However, there are some that had alternating belts which would help change the look of the suit. 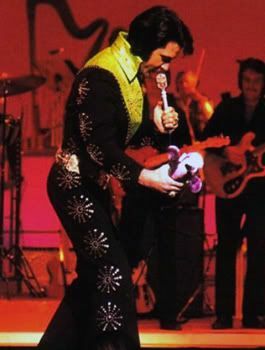 Elvis also had several two piece suits made that he would wear on stage. 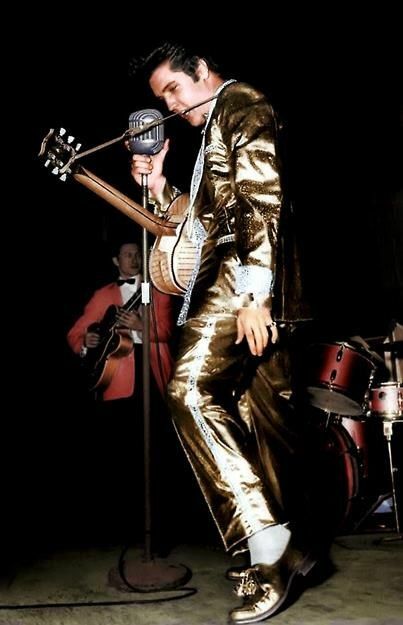 Under the stage lights, the suits could get a little hot and the belts would weigh down on Elvis. 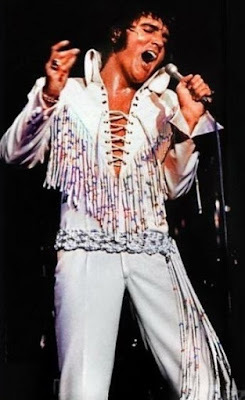 Once he was bestowed the attendance belt in Las Vegas, he would often incorporate that into his outfit. 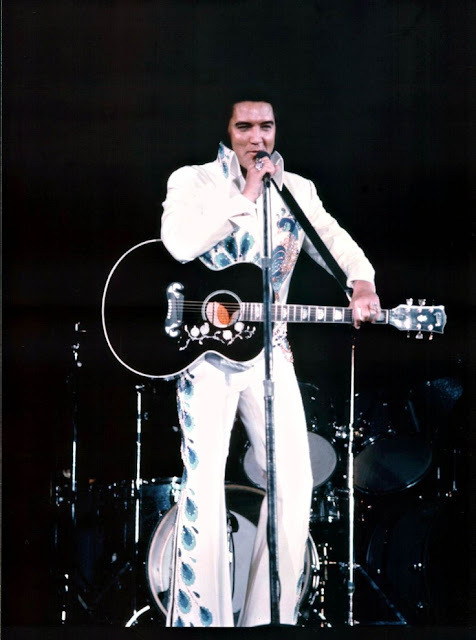 It is currently on display in Las Vegas at the Westgate (formerly the International) Hotel at the Elvis Experience Exhibit. 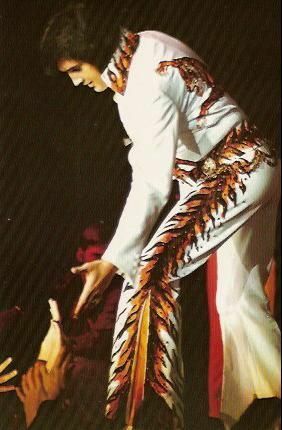 So what's your favorite Elvis jumpsuit? 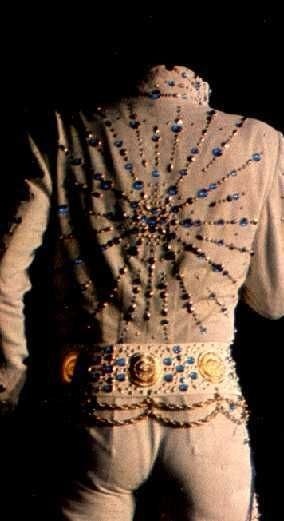 Is it one of the better known ones or an obscure one he wore only maybe once or twice? 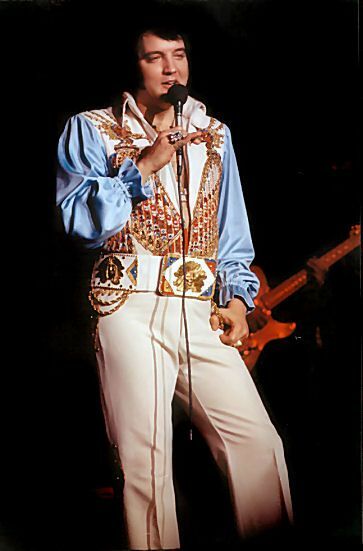 He brought a whole new level of cool to the stage. 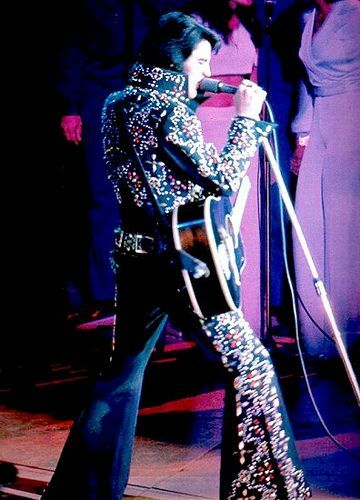 My favorite Elvis jumpsuits are the black ones. I just love them! The one I know most is the white one with the cape, the others we don't see as much.